In 2000 Captain Kellams was instrumental in redesigning the field training program for the Bloomington Police Department and has taught that program to hundreds of departments throughout Indiana and the United States. He has also instructed on field training issues at the national level when he presented courses at the 2002, 2009, 2010, and 2011 National Association of Field Training Officers conference in Ann Arbor, Michigan; Madison, Wisconsin; Denver, Colorado; and Phoenix, Arizona. In 2000 Captain Kellams was elected state director for the Indiana Chapter of the National Association of Field Training Officers. In 2005 he was elected to the Executive Board of the National Association of Field Training Officers and in 2008 he was the National President of NAFTO. In 2005 Captain Kellams was named Monroe County Officer of the Year for his work with the Bloomington Police Departments Field Training Program. Captain Kellams is a certified Indiana Law Enforcement Academy training instructor and teaches courses in Standardized Field Sobriety Tests, domestic violence, officer safety, firearms, civil disturbance, and field training. 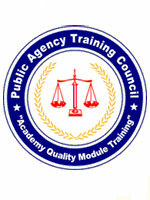 A professional training, education, and certification program offered by Public Agency Training Council (PATC). 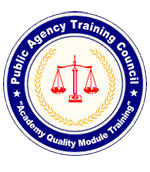 Successful completion of certification requirements will designate the attendee as a certified Field Training Officer through Public Agency Training Council. To provide public safety practitioners who specialize in on-the-job training the opportunity to gain recognition for their education and professional dedication to the field training concept. Field training develops new employees into professional and ethical members of the organization. Agencies lacking a properly functioning field training program agencies are open to discredit and liability. A properly organized, supervised, and functioning field training program is critical to the development of an agency. To provide public safety agencies with a training and education program that will enhance the performance of field training. To encourage and facilitate continued education and learning in the essential agency function. To assist agencies in placing the proper emphasis on post-academy and on-the-job assessment tools. To provide Field Training Officers with the skills necessary to adequately train new employees. Certification will be valid for two years. The successful candidate will receive special recognition for this achievement. Certification will require each candidate to attend PATC “How to be an Effective Field Training Officer” course and successfully pass the associated written and practical tests. This course is designed to provide knowledge and training to develop Field Training Officers' skills. Each new FTO will be presented with ideas and techniques to assist them in becoming more professional and confident in the application of their skills. This course is based on a modified “San Jose” program.